human-powered art sculptures take over key west! 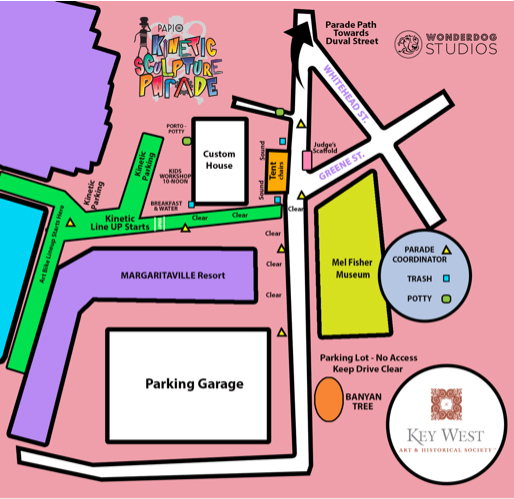 Festivities all weekend: Downtown Key West May 3-5, 2019! Parade Kicks off at 12PM on Saturday, May 4th from the Custom House! 2018 Highlight Video of the Kinetic Weekend! 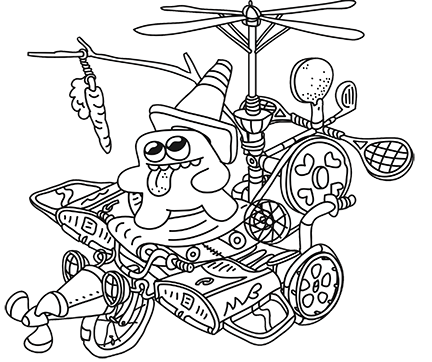 "SPECTACLE IN THE STREET: ART OF THE PARADE"
New t-shirts will be available for purchase during the Papio Kinetic Parade weekend at the Custom House. Pick up your new 2019 shirt May 3-5 at the Custom House on 281 Front Street in Key West. 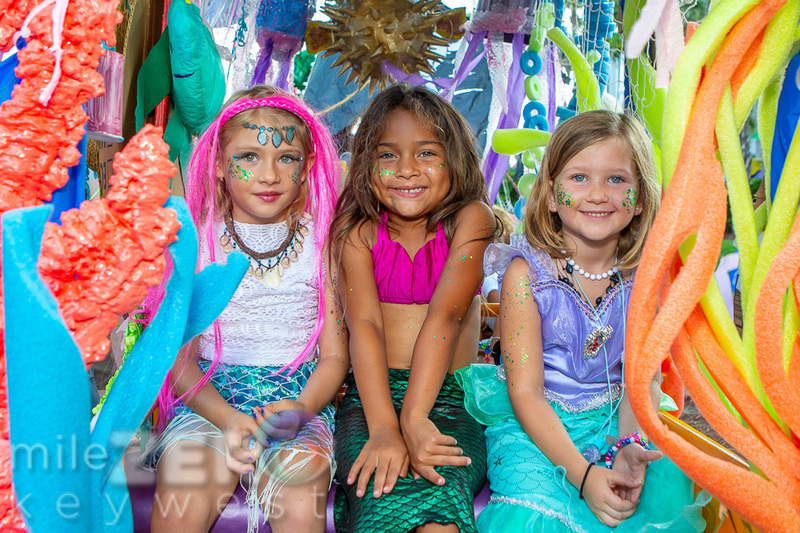 Participants and spectators alike revel in the family-friendly, art-inspired, human-powered, mobile sculpture and art-bike parade (think art with parts that move) created in honor of the late Florida Keys rebel folk artist Stanley Papio. 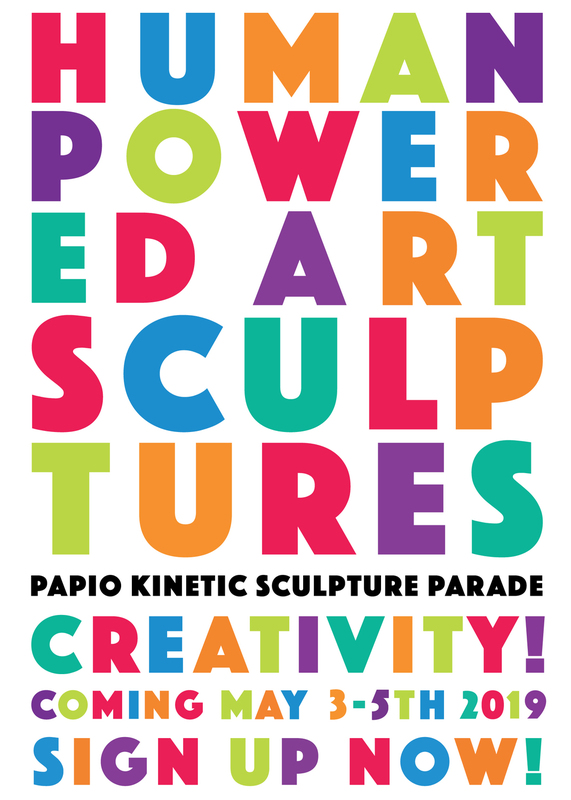 Want to build a Papio parade entry yourself? Human Powered Kinetic Sculpture Floats and Art Bikes can be simple, whimsical, futuristic, or fantastical—the only requirement is that they are physically moved by you (and/or a teammate(s)). Recycling is highly encouraged, wit and humor loudly applauded. Welding, wheels, gears, wire, or glue?—it’s entirely up to you. Cash prizes will be awarded in multiple categories, including a youth/school category. Who was stanley papio ? “Stanley Papio: Junkyard Rebel” is now a permanent exhibition at Key West Art & Historical Society's Fort East Martello. Featuring more than 100 of Stanley Papio's sculptural objects and three-dimensional constructions. READ MORE! The project is sponsored in part by the Department of State, Division of Cultural Affairs, the Florida Council of the Arts and Culture and the State of Florida.